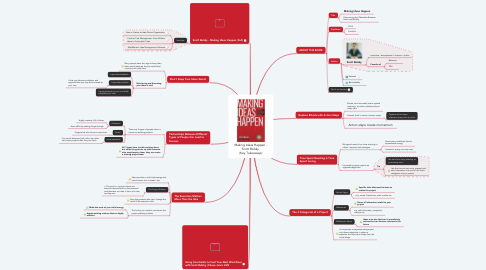 In this mind map you learn about the key takeaways of the book „Making Ideas Happen“ which gives advice on overcoming the obstacle between vision and reality. 4.1.2. e.g. create illustrations, write outline etc. 4.2.2. e.g. sales forecasts, competitor analysis etc. 4.4. It's important to separate each project into these categories in order to separate the important things from the trivial things.